Course Synopsis: Concept of Applied Statistical Techniques and its Applications. Goals: This course makes students able to understand Applied Statistical Techniques and their applications in the allied areas. Download PDF Syllabus Of "Statistics I"
Types of Sampling; Simple Random Sampling with and without Replacement; Stratified Random Sampling; Ratio and Regression Method of Estimation under Simple and Stratified Random Sampling; Systematic Sampling; Multistage Sampling; Estimation of population total and its Variance. Chi-square test: Test of goodness of fit; Test for independence (Categorical Data). Definition of Order Statistics; Run Test; Sign Test; Wilcoxon Matched Pairs Signed Ranks Test; Mann-Whitney U Test; Median Test; Kolmogorov Smirnov Test (One Sample Case); Cochran Q Test; Kruskl Wallis One way ANOVA Test; Friedman Two way ANOVA Test. Partial and Multiple Correlations; Multiple Linear Regressions: Assumptions; Coefficient Estimation, and Significance Test; Coefficient of Determination; Cobb-Dauglas Production Function; Growth Model; Logistic Regression; Autoregressive Model of order One, and Appraisal of Linear Models (Heteroscedasticity, Multicolinearity, Autocorrelation). 1. Theory and practice should go side by side. 2. It is recommended 45 hours for lectures and 15 additional hours for tutorial class for completion of the course in the semester. 3. SPSS Software should be used for data analysis. 4. Home works and assignments covering the lecture materials will be given throughout the semester. Draper, N. and H. Smith, Applied Regression Analysis, 2nd edition, New York: John Wiley & Sons, 1981. Hogg & Tanis, Probability & Statistical Inference, 6th edition, First Indian Reprint, 2002. Gujaratii, D. Basic Econometrics, International edition, 1995. Gibbons, J.D. Nonparametric Statistical Inference. International Student Edition. Siegel, S. Nonparametric Statistics for the Behavioural Sciences. McGraw-Hill, New York. Hollander, M. & Wolfe, Nonparametric Statistical Methods. Johns Wiley & Sons, New York. 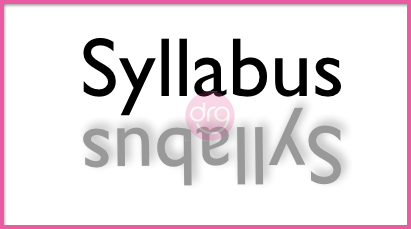 0 Response to "Syllabus of Statistics I | STA-108 | BSc CSIT | First Semester | TU"